"It was hard for me to pay attention and concentrate [at school], because I was very hungry." - Julio Tun. Meet Julio Tun. Just 12 years old, Julio lives in Alta Verapaz, Guatemala with his three siblings and his parents, Domingo Tun and Albina Tzib. His father is a laborer and his mother is a housekeeper. 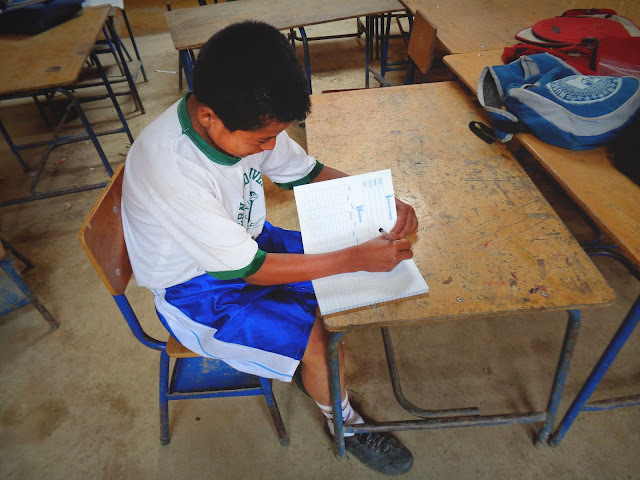 In order to make it to school on time, Julio and his siblings have to leave so early for school that they don’t have time to eat breakfast. “When I can, I give them a corn tortilla and coffee for them to take to school,” Albina explains. It wasn’t long before Julio’s teacher noticed the impact this lifestyle was having on his school performance. But then you stepped in to lend a hand by shipping a container of nutrient packed soup mix to Guatemala that made it possible for Julio’s school to start a meal program. Julios' teacher reports that this soup mix has been a tremendous help. Children who used to come to school without much energy are now motivated because they know there’s a meal waiting for them at school. Their bodies desperately need the nutrition and, sadly, there just isn’t enough food to go around in many of their homes. Transforming the nutrient packed soup mix into tastey school lunches has become a community affair. The soup mix is prepared by the students' mothers and a school teacher. Together, they get pretty creative! The soup mix is transformed into multiple meals: in stew, with community vegetables, with noodles or rice, and sometimes even with beef! 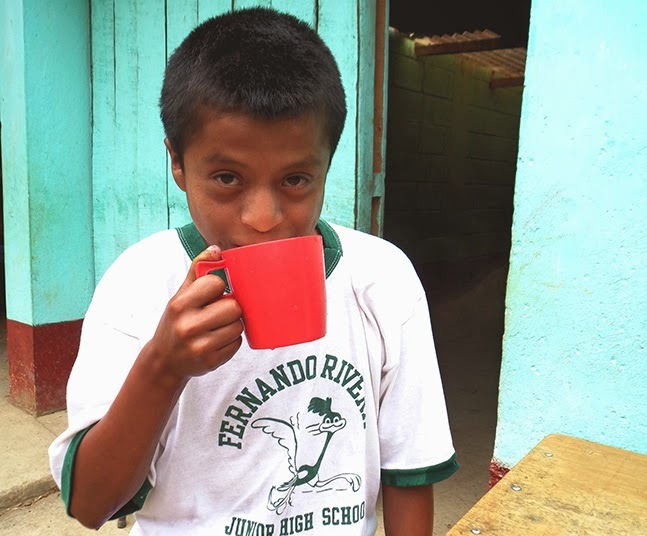 When we asked Julio if he likes eating the soup meals at school, he shared how he feels more energetic during the day, and that the food has made him feel much better during his classes (now he can stay awake!). He also thinks the soup mix tastes good the way it’s cooked up - Guatemala style. Albina, Julio’s mother, is relieved to know her children receive a meal at school. "Now I feel calm because they get this meal at school that helps them recover their health and improve their studies." You can change the stories of thousands of more children like Julio by helping us send 4 more containers of nutritious soup mix around the world.